Take your color game to the next level by getting a Silver haircolor. Get a platinum finish with your silver haircolor to make your hair look shiny, or a silver blonde haircolor if you want something slightly darker. No matter what you do, silver haircolor always comes out stunning. The chrome shade compliments brown hair and adds a pop of color and movement to otherwise monochromatic brown haircolor. 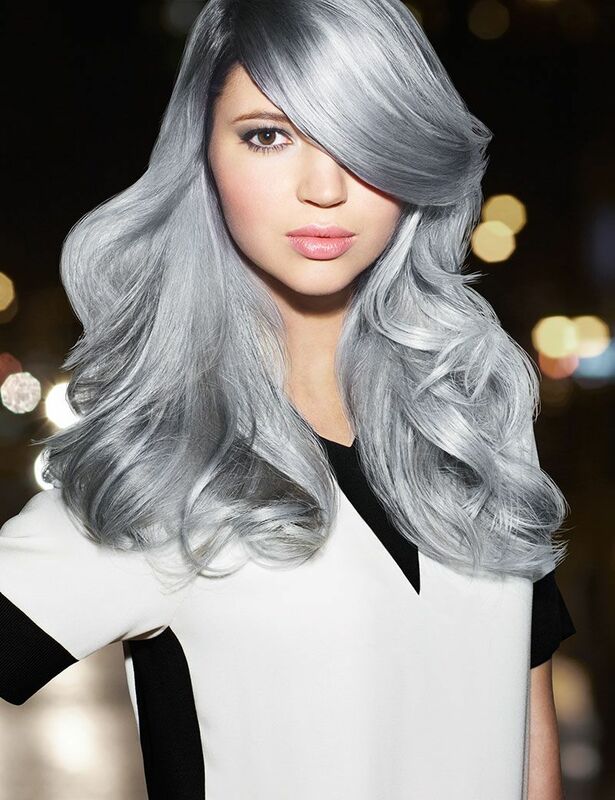 Silver Ombre Haircolor is the perfect way to add some edge to your look without committing to a vivid color! The bright, versatile look can be achieved using Redken Shades EQ Hair Gloss. The dark root and silver ombre fade makes this haircolor easy to maintain. Ask your stylist to create the silver haircolor on your hair today! Showcase Platinum Status with grey haircolor not for the faint of heart. This multi-platinum blonde brings the drama.